A genius of our times, Albert Einstein astutely defined insanity as "doing the same thing over and over again, and expecting different results." 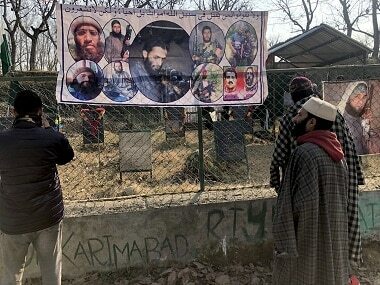 Jammu and Kashmir government may have ordered a magisterial enquiry into the killings of two youngsters in Shopian district on Saturday but everyone, including the government, knows such probes are merely an "eyewash" meant to prolong the agony of victims and their families by setting up obstacles in their pursuit of justice. "There is nothing like magisterial enquiry. Our army enjoys impunity under AFSPA in Jammu and Kashmir. They (army) have their own court… lodge as many FIRs as you want… police FIRs don't work (against army)," Ravinder Raina, a ruling BJP legislator told reporters on the sidelines of an army function in Nowshera. "What army did was an act of self-defence, for the security of the nation and as per law… it was extremely important and much needed… army did the right thing," he added. According to a senior official from Jammu and Kashmir government's home department, more than 400 judicial probes have been ordered by different state governments since the insurgency broke out in the region in early nineties. "These include cases where large number of people were killed in a single instance, like the 1993 Bijbehara killings," he said referring to the incident which fanned flames of secession in Kashmir. On the afternoon of 22 October, 1993, soldiers of the Border Security Force (BSF) opened fire on protesters who had gathered in a public park in Bijbehara town to protest against the military siege of Hazratbal shrine. At least, 43 civilians were killed that day. The magisterial enquiry found the BSF personnel "committed offence out of vengeance and their barbarous act was deliberate and well planned", the report said, terming the firing as "unprovoked". After a protracted legal battle which went all the way up to the Supreme Court, the case got a quiet burial. When the National Human Rights Commission recommended a parallel criminal prosecution based on the magisterial inquiry, the BSF set up roadblocks and the Centre finally turned down the NHRC plea in the apex court to provide information on the alleged court martial proceedings of the accused, in the name of “national interest”. "All these probes are a farce and are announced only to pacify public anger and not to provide justice. 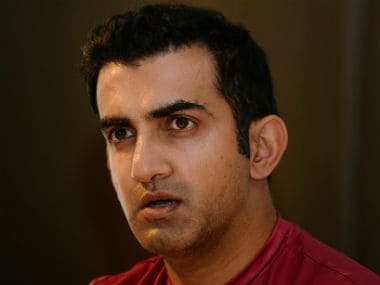 In most cases, the government itself, instead of facilitating justice, becomes a roadblock, which puts a question mark on the credibility of government as well as the judicial system," Khurram Pervez, a prominent rights activist based in Srinagar, told Firstpost. Khurram is also the convener of Jammu Kashmir Coalition of Civil Society. According to JKCCS, since 2003 close to 180 investigations have been ordered by the Jammu and Kashmir government with little or no justice for victims. "The enquiries serves the purpose of an ‘official cover up’. The outcome doesn’t lead to prosecution of accused. Blaming the slain persons for their murder is the standard operating procedure of the government which leads to denial of justice," Khurram told Firstpost. Civilian killings is not a new phenomenon in Kashmir. 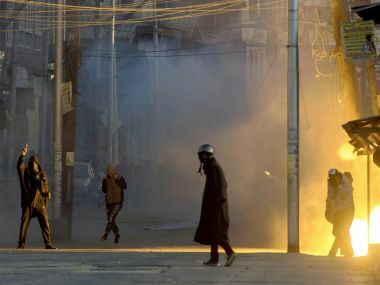 The worst year for the civilian population in Kashmir over these years of political turmoil has been 2002 when 1,008 deaths, almost three civilian killings per day, were recorded. Besides 1,707 militants, 453 security personnel were also killed in that year. Though not all killings have been probed via a magisterial inquiry, the result is nearly similar in both ways — denial of justice. Given the dubious nature of such probes, it is highly unlikely that the two youngsters, who were shot dead by the Army's Garhwal unit in Shopian, will ever get justice. At most, they will become part of the statistics that inform the blood-soaked history of Kashmir. 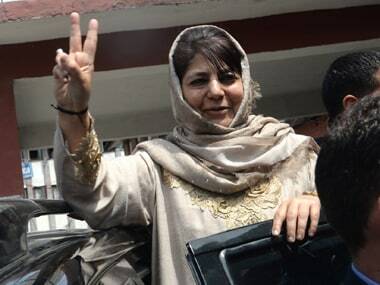 When the rage of the 2010 uprising had not even subsided, Mehbooba Mufti, then the Leader of Opposition in the state Assembly, had taken out out a march from her party headquarters in Srinagar to the civil secretariat, "Kashmir has become a killing field, where every day bullets are fired and innocent people get killed. 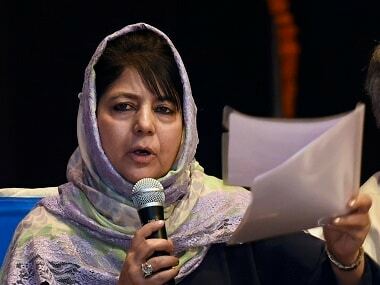 But there is no accountability in the government, nobody is being held responsible or punished for these incidents and only commissions are being ordered with no results till date," Mufti had said. Today, as chief minister of the state who had promised to deliver justice for the victims of state high-handedness, Mehbooba is employing the same, worn-out measures, and, perhaps, expecting them to deliver different results. The least this government can do as a remedial measure is to stop mocking itself and the victims, do away with the practice of announcing 'magisterial probes' and save itself from further embarrassment.